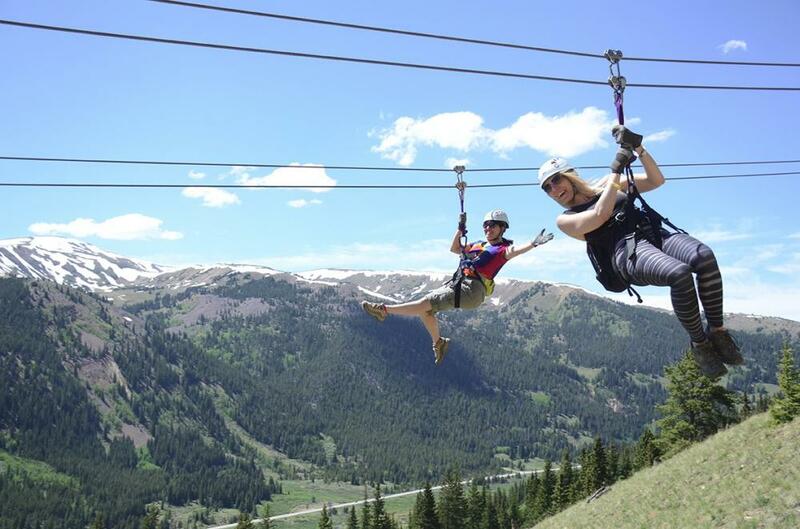 Embark on a high-flying adventure at Top of the Rockies Zip Line. 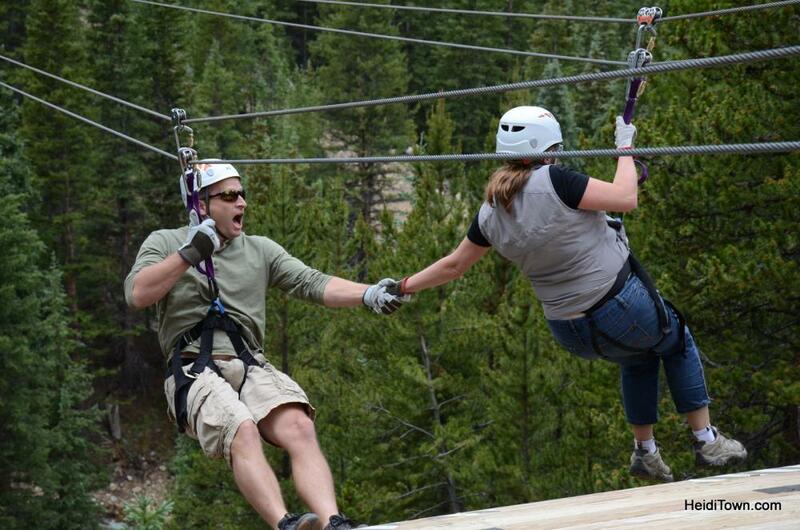 Join us at our private paradise only 14 miles south of Copper Mountain on Highway 91. 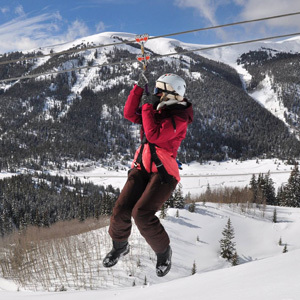 Trained guides, double overhead cables and an automatic braking system ensure a safe and thrilling tour along the Continental Divide. 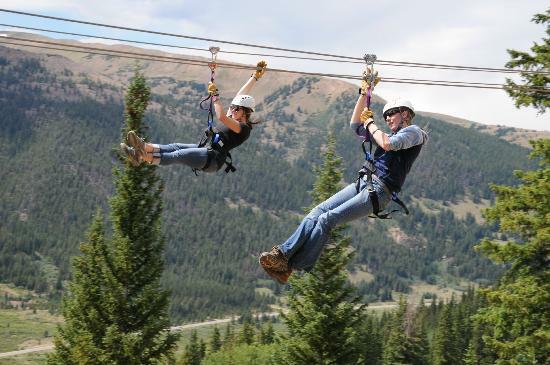 Ride a 6-ton Monster truck up scenic trails to the first departure deck at 11,200 feet. See old mining ruins and look for wildlife. 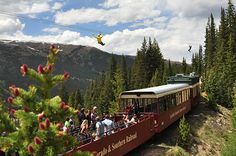 Not to mention, WE ARE THE ONLY ZIP LINE IN THE WORLD TO FLY OVER A RUNNING TRAIN. 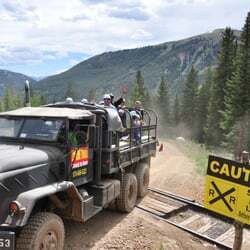 Ride the Leadville Train to our railroad crossing. 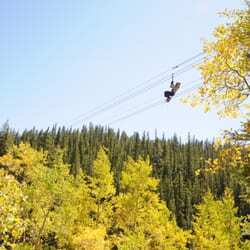 Add lunch plus all 6 sections of the Zip Line Tour for your best day in the Colorado back country. Experience the excitement of side-by-side flight, and end with The Big Nugget. It sends three flyers at the same time to our Sky Tower. 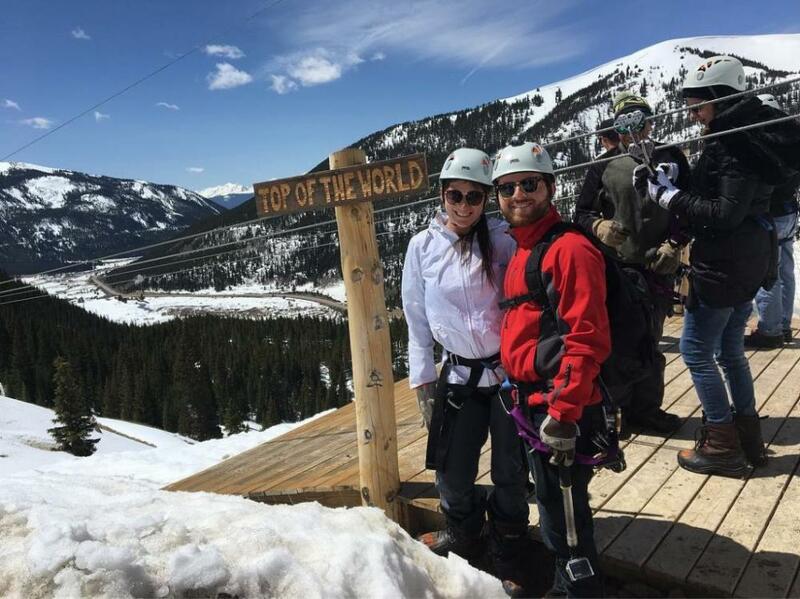 Descend to earth on wide stairways and enjoy panoramic views of 14,000’ mountains from the spacious 6 viewing decks. It’s always cool and comfortable at the TOP OF THE WORLD. 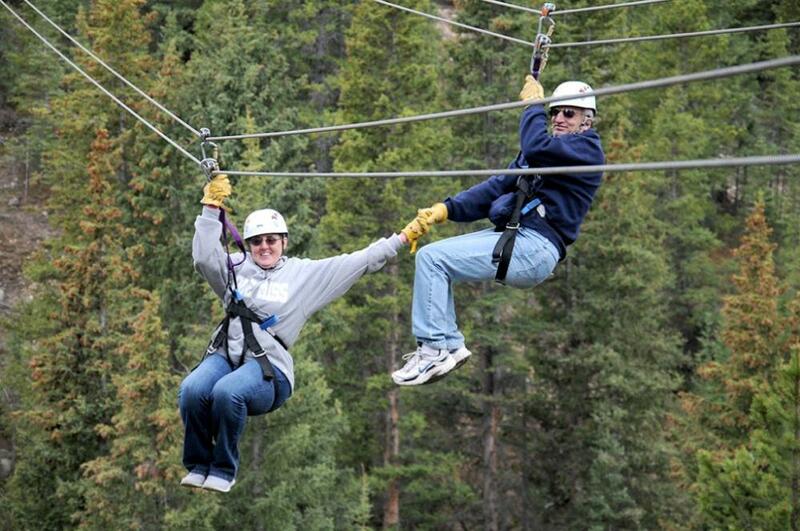 See historic gold mines & views of the "Fourteeners" with Certified Guides. 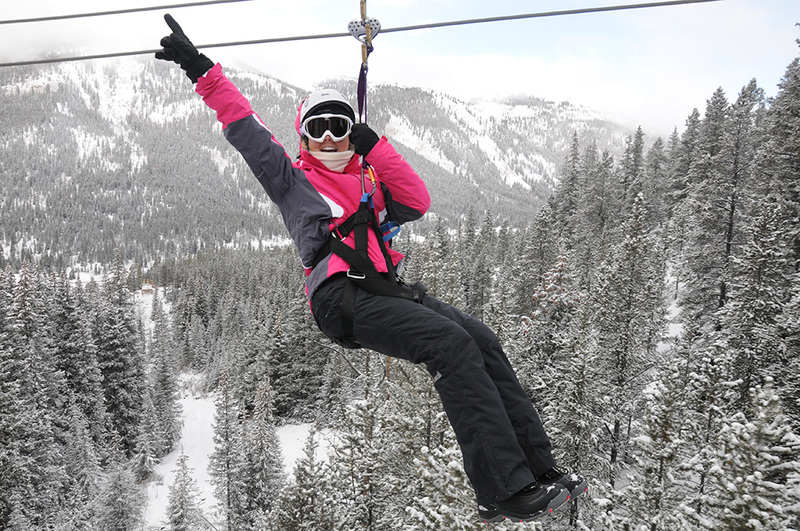 Join us in the winter as well for a winter zip line tour or a combo zip line and snowmobiling. 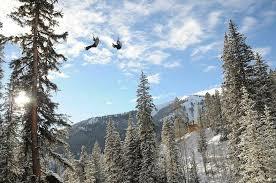 We provide Snowmobile and Zip Line tours at the top of the Rocky Mountains. 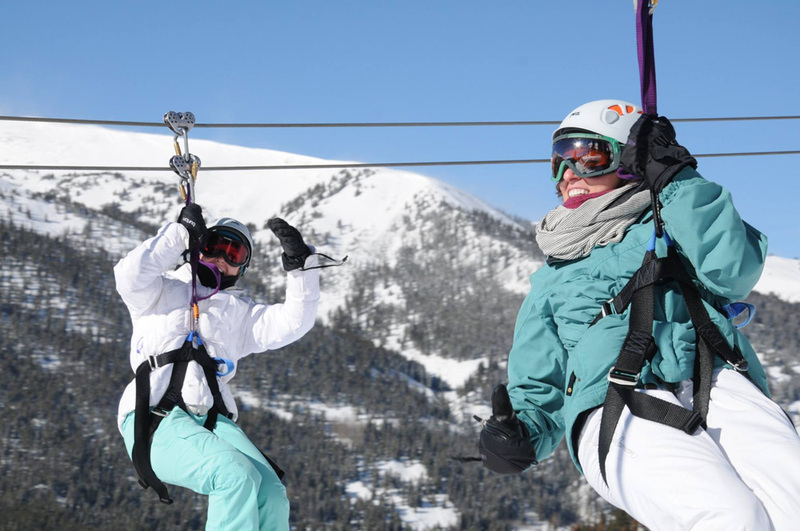 Enjoy Family, Performance and High Adventure Snowmobile Tours high on the Continental Divide or an exciting Snow Zipping adventure, Fly side by side on twin zip lines on four of the five sections of the course. Ask about our 5-Hr. 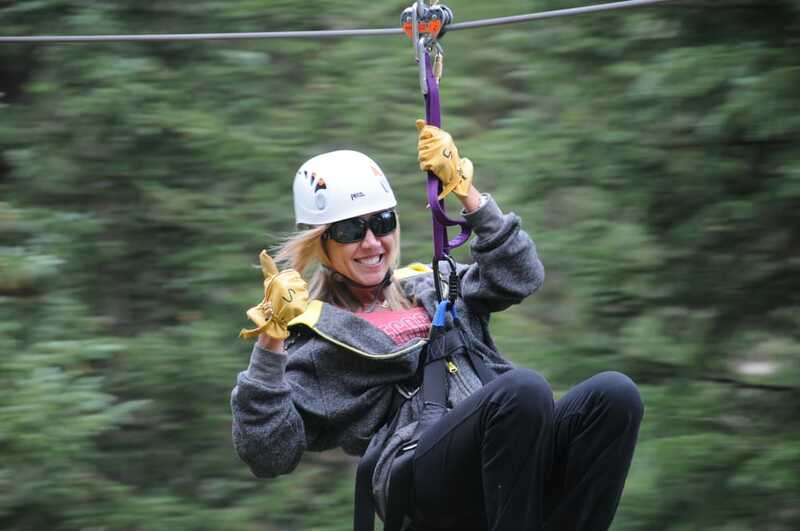 Thrill Seekers Combo with Performance snowmobiling, lunch and zip lining. It's the Ultimate! Complimentary suits, boots & helmets. Ask about Free Transportation from Hotels and Condos.